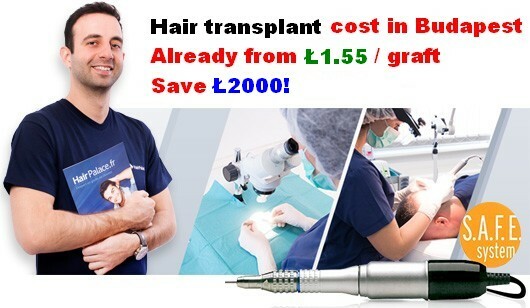 The success of a hair transplant is influenced by many factors – the skill of the hair surgeon, the viability of the hair follicles, the hair transplant method used, etc. Among these factors, post-operative care has a significant role as well. After the FUE procedure itself, patients are informed by the hair surgeon with regard to some instructions they have to follow to ensure that nothing will interfere with the success of the hair transplant procedure. Hair transplant post-operation instructions usually involve refraining from doing certain activities (e.g. swimming or sunbathing), or taking certain measures to stop the occurrence of certain side-effects (e.g. bleeding, infections, etc.). Some of these post-op instructions have to be observed for up to 4 weeks. Hair transplant patients are recommended to rest and relax the day after surgery, and refrain from any form of intensive exercise. The bandage that the patient is discharged with has to be taken off on the day of the surgery, before the patient goes to bed. For at least 3 days, patients must sleep with their head elevated at 30° to prevent the swelling of the face. Using extra pillows or neck pillows can help keep the patient’s head elevated. Painkillers can be used to relieve discomfort and pain, if necessary. Slight bleeding from the donor or recipient area is normal, in this case applying pressure for 15 minutes with a sterile gauze should stop the bleeding. 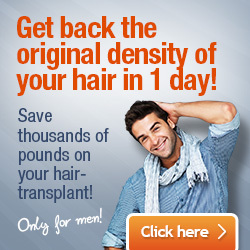 If it persists, contact your hair surgeon immediately. Do not comb your hair for at least 7 days after the surgery, and wash your hair only with products and at the frequency recommended by your hair surgeon. Don’t wear hats and avoid anything that would obstruct the way of air. Avoiding exposure to dust and dirt is also important as these can cause infections. Swelling and congestion of the donor or recipient areas are signs of infection and patients will need to follow a course of antibiotics. Patients are strongly advised to refrain from swimming, sunbathing and any other physically straining activity. It’s important to lead a healthy lifestyle and avoid smoking, drinking alcohol, and avoid medication that can affect blood flow. As the healing process unfolds blisters, crusts, itching may appear. It’s important not to scratch your head as this may damage the implants. Redness and numbness that appears after the surgery will subside and will disappear with time. Sometimes, 2-3 months after surgery, small pimples or blisters may appear, these will open up by themselves, and they are caused by hair breaking up through the layer of skin. If too many blisters or pimples appear, and they are bigger in size or they are accompanied by redness, you must contact your hair surgeon immediately. Within 4 weeks the upper part of the implanted hair may start to fall out. This should not be cause for concern as the implanted hair follicles will remain in position and enter a dormant phase, and start to grow only 5-6 months after the surgery. The healing period of FUE hair transplant is different for each individual and side-effects and symptoms may be different from patient to patient. However, following the above post-operation instructions will help in managing these. In case you notice something unusual or experience severe pain, swelling and redness, do not hesitate to contact your hair surgeon.